After a relaxing and peaceful night’s sleep you can make an invigorating start to the new holiday or day off at the lavish Flair breakfast buffet. In fine weather, the hotel terrace is available for breakfast, where you can enjoy your morning breakfast in peaceful, natural surroundings. 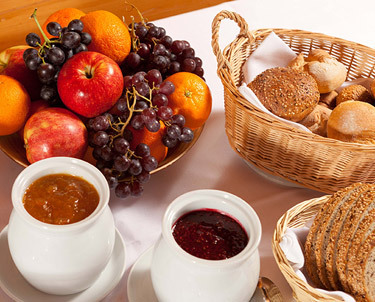 You are invited to enjoy our breakfast buffet every day from 7.00 hrs to 10.00 hrs.